There is no excuse to ignore the power of social media in promoting your brand, advertising your services, communicating your message, and drawing the attention of your target audience. More and more companies see and experience the positive results of social networks, and they use them as an efficient way to share their story, grow the number of their followers and, overall, increase their market share. In order to make the most of it, you have to build your social media marketing strategy with some key components in mind. Below, we elaborate on some of these elements. Before you jump in the social media arena, you need to make sure that you choose the right weapons to win the fight. A common mistake to avoid as you build your social media marketing strategy is the creation of multiple accounts that you are not able to maintain. The reason why we highlight this point is because it is really discouraging for your audience to come across outdated profiles of your company and it is also futile for your firm to spend energy and resources on social media efforts that have no impact on your target audience. Conduct research to identify which channels your target audience uses and focus your strategy around them. Once you know which tools are the right ones to reach out to your audience, you need to make sure that you win their interest. How do you accomplish that? The answer is simple. By creating and sharing content and information of great value. Remember that you are in an industry where competition is fierce and many companies claim to master the art of recruiting. A great way to win the trust and respect of candidates and clients is by establishing your firm as an industry thought leader. Locate and share industry articles on topics that are important for your audience and write blogs that offer them advice on how to overcome challenges. One more factor to take into account when you build your social media marketing strategy is the involvement of your own staff. Remember that your sales and recruiting teams are your brand ambassadors; the people who are at the front line of your operations. They are the ones who come in touch and can collect feedback from your target audience on things you do right and others that you need to do better. It is important that you capitalize on that. Ask your team to actively support your efforts by liking and re-sharing your content on their own social media and make sure they address concerns and respond to comments promptly. A very important rule to keep in mind when you build your social media marketing strategy is to stick to it. This is where many companies drop the ball. Even though they put together an execution plan, they usually come short in carrying it out. Don’t let this happen to your firm. The best ideas, the biggest budgets and the best intentions have no luck if they don’t follow the timeline of your plan. Create an editorial calendar of what you are going to post, where and when, as well as the responsibilities that each member of your team is assigned with. Make sure you hold everyone accountable and keep evaluating your efforts to improve your efficiency. 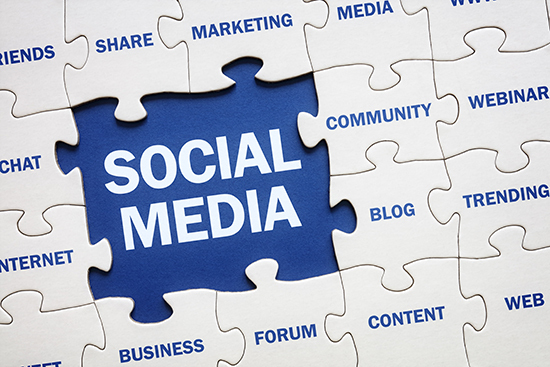 How do you know that your social media marketing strategy is meeting your proposed goals? The only way to answer accurately is by measuring the results of your efforts. Is your incoming website traffic increasing? Which pages draw more attention? Do your blog topics intrigue your target audience to engage? Do followers react to your social media posts and how fast does your team engage with them? In order to define your success you need to be able to track and measure your results. Dig into the analytics of your social media channels and use programs like Google Analytics to get a clear picture of what pays off and what you need to improve.